Custom notification type 1 options. Custom notification type 2 options. If You are interested with this plugin you may DOWNLOAD HERE. Download through link above and unzip it to your plugin folder (/wp-content/plugins/). Or the simpler way, from Plugins menu click » Add New » Upload then choose the downloaded file » Install Now and Activate Plugin. 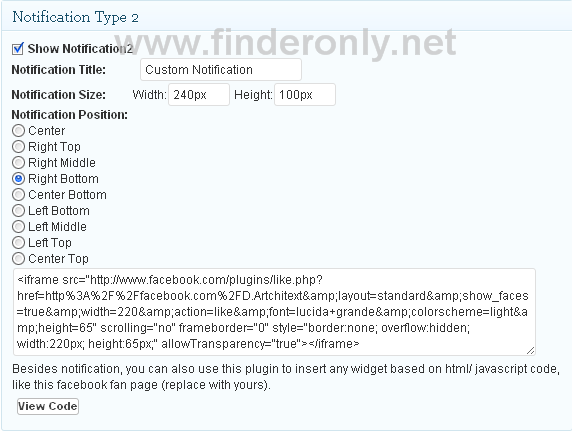 Activate the Custom Notification plugin from Plugins menu » Installed Plugins. 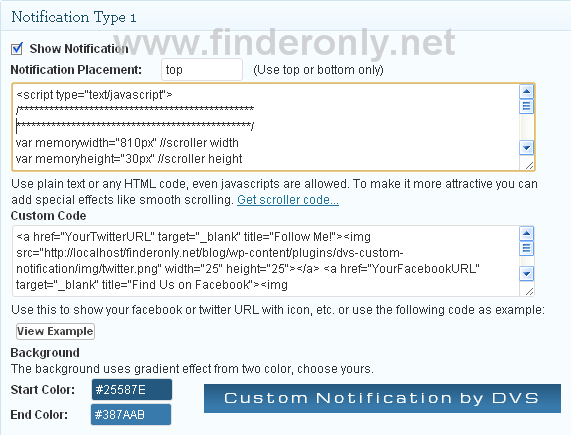 Go to the "Custom Notification" options in your dashboard check "Display Custom Notification", define widget position, background color and and the content. Have a try, hope you like it!